Something just as annoying as blisters on your hands are unexpected calf bites from seat tracks. 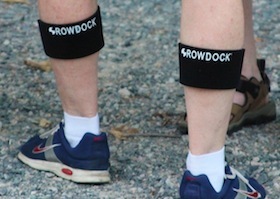 At The Crew Stop, we thought about developing our own calf bite sleeve until we came across the Rowdock Protector. 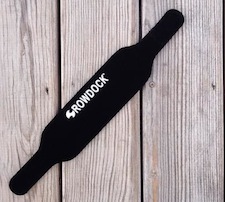 Its unique design enables the rower to quickly put it on at the first sign of a calf bite without removing his or her feet from the foot stretchers. Unless you row in the same seat in the same boat all the time, these Protectors just might come in handy when you need them at a moment's notice. 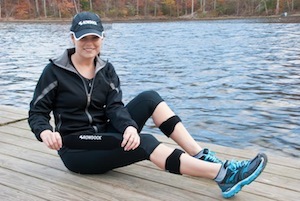 No more pain from calf bites and no more ugly scars!